If you want a good bingo app with the availability to play casino games at the same time, then bgo bingo have just the app for you. Really fun to play with a great range of bonuses too! Delivering seamless online entertainment straight to your mobile device, if you’re looking for on-the-go Bingo fun, then the bgo bingo has got you covered. Their app and mobile site are specifically innovated to ensure you don’t miss a quality gaming experience just because you’re not playing on your desktop. And with a tantalizing range of mobile Bingo games available, a tailor-made welcome bonus for new players, plus The Boss (their iconic ‘Mini-Me’ mascot) to add a touch of humor to proceedings, there’s a lot to keep new and seasoned Bingo fans happy. There are regular promotions and new player sign up bonus available when you join at www.bgo.com/bingo You can also get points and use these to buy bingo tickets in any of bgo’s amazing bingo rooms or even take a spin on the fantastic range of mini slots located in any of the Bingo rooms or in the Bingo lobby. For iOS device users, just sign up on the mobile site at www.bgo.com/bingo to claim your new welcome bonus, then from my account click the download the bgo bingo app where you will be redirected to the iTunes store, where it’s available to download for free. Once downloaded, open it up and log in using your account details. 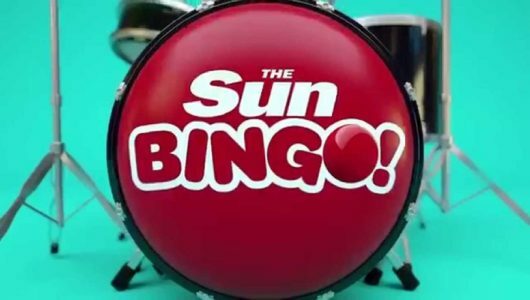 For Android devices (and for those iOS device users who would rather not have to download an app), there’s a specifically-developed mobile bingo site. All you need to do is visit www.bgo.com/bingo on a mobile browser to open it up. Like with the app, you can sign up here in just a few clicks and then add the quick link to your favourites or to the home screen on your mobile or tab. 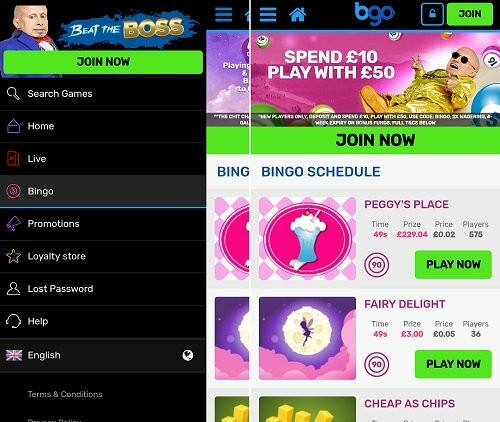 You’ll then see a clearly-labelled tab to take you to bgo Bingo within the mobile app. 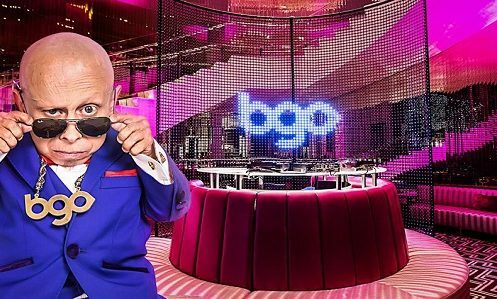 You’ll find plenty of online entertainment apps available right now, but why should you choose this bingo app from bgo? Well, the first thing that stands out is the app’s flashy and sleek design. It provides one of the most easy-to- navigate layouts we’ve seen, meaning both new and seasoned players alike can enjoy seamless, uninterrupted fun. 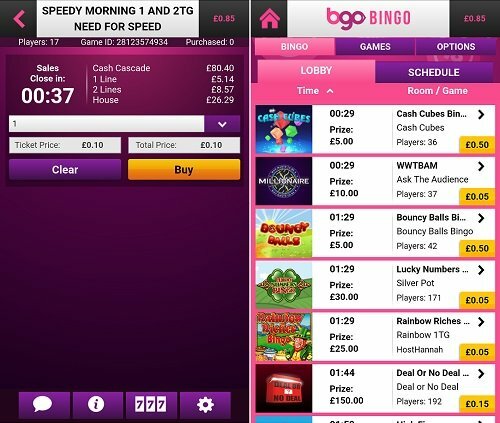 Design of the app is identical on both the bgo bingo app for Android and also the iOS (iPhone & iPad) versions. The lobby on the app is bright and vibrant and is well laid out so you can easily find the rooms you wish to play in. Just scroll through and you can easily see how long until the game starts, number of players, prize fund, price of a ticket and type of game. This app is designed for fun, and boy, does bgo know a thing or two about fun! Their ever-growing gaming catalog is one of the most extensive available for mobile players. 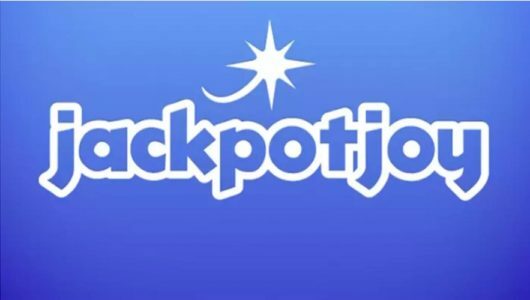 Alongside over 500 Slot, Jackpot, Table and Live Casino titles, there’s a clearly-labelled section dedicated to brilliant Bingo games! From 75 to 90 Ball Bingo options, here you’ll find all your Bingo favourites, all fully optimised to run smoothly on your mobile device. BGO make regular updates and improvements to their applications interface. We love this latest incarnation! It is so easy to use and really does out the fun back in to playing mobile bingo. The app really looks the part and it is easy to use and a safe place to play our favorite games. Indeed, bgo doesn’t want anything disrupting your play. That’s why their Customer Support team are awesome. Always happy to lend a hand, they’re there if you have any problems or even just need a little help getting started. Simply drop them a message or contact a member of the team through the Live Chat option. New players might find the handy FAQs section useful, too. When you have your account details, go to bgo bingo and in the lobby, you can scroll to find your room. The first time you use the app, it will check your location to make sure you are in one of the countries bgo bingo operate in. This is the norm for any bingo app, especially as it is real money bingo. Choose your room by looking at the the prize, ticket price and players. The game happening the soonest is at the top of the page and as a game starts, it will disappear and the next game will appear. Press PLAY NOW button and proceed to where you can choose your chat name. Set your name (go on be crazy!) and go to the next screen. Here you can decide how many tickets you want to buy for the game. Choose your amount from the drop down menu then press buy. You can now play the game. Take your seat, wait for the game to start and when it does, your tickets are automatically played for you. There is no need to wait and daub your tickets, the app will do this for you, regardless of how many tickets you have. bgo is not only a fun place to play, but also a generous games provider. All new players qualify for the Bingo welcome bonus. Promotions and bonus amounts do vary and they also change depending on which country you are playing in. 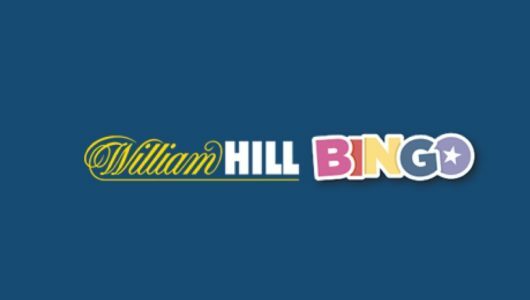 To see the latest offer and to stay up to date with all available offers, go to www.bgo.com/bingo and look on the promotions page. bgo takes player peace of mind seriously. The app and mobile site are purposefully developed to ensure everything you can do on your desktop, like withdrawing and depositing, you can also do on the go – quickly and securely. They offer a choice of safe transaction methods to mobile players, including Visa, MasterCard, Maestro, Skrill, Neteller and Boku. Deposits are instant (apart from cheque) and withdrawal times are pretty decent too. You are looking from 48 hours for a bank or card transfer which is pretty industry standard. Yep, we think bgo app is great. But why take our word for it? Sign up now and start beating The Boss as you play on the move!